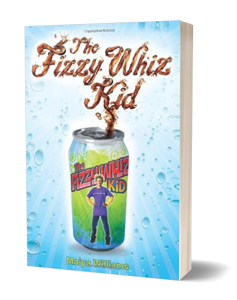 Action-packed and laden with good-natured humor, Williams tale is a journey worth taking. Thirteen-year-old Rowan Popplewell is at an all time low. His mother died a year ago, and her death put the whole family into a downward spiral. His father has turned to drink, the family business is failing, and they’ve had to move from their house into a small apartment. 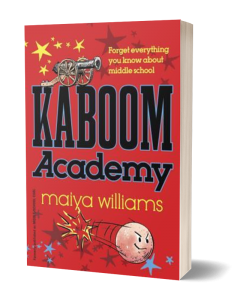 Worst of all, Rowan’s eleven-year-old sister Nina hasn’t spoken a word since their mother’s death. Rowan and Nina are invited up to Owatannauk Maine, a small town on the very top of the state, by Rowan’s two great aunts, whom he barely knows, and who were also, as it turns out, his mother’s godmothers. Rowan is anticipating a very boring summer with two elderly women. Once he and Nina get up there, however, strange things start to happen. The aunts have a curio shop with some very curious things in it…so curious that they compel Nina to start speaking again. 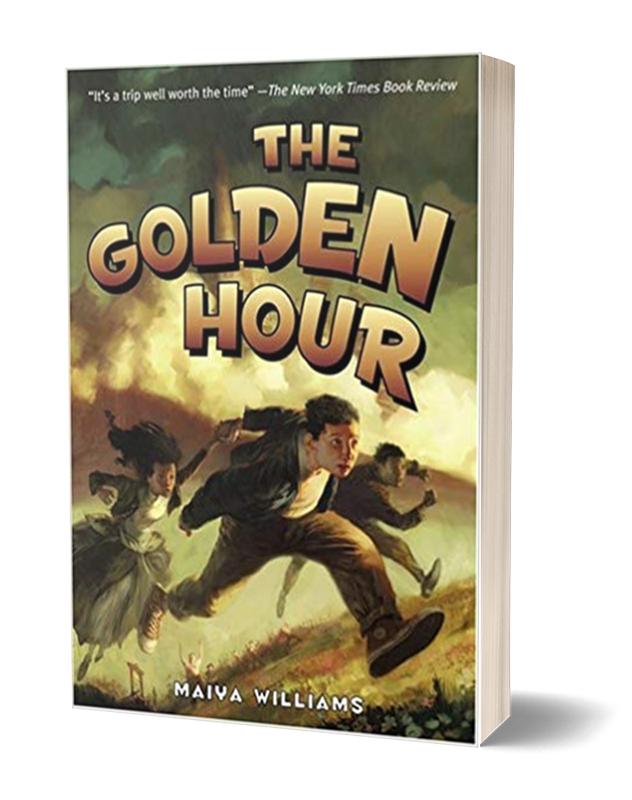 Rowan and Nina meet two twins, Xanthe and Xavier, who tell them about an old abandoned resort that appears to be haunted. In actuality the resort turns out to be an elaborate time machine. Nina seems interested in using the machine to escape from their horrible life. Rowan mentions that there was a marvelous period of time in Europe called “The Enlightenment;” a time when superstition and church dogma started to give way to logic and reason, art and science were making tremendous strides, truth and beauty were celebrated. When Nina disappears the next morning the kids rush to the resort and find out that she did indeed use the time machine. Rowan, however, had gotten his dates mixed up, so instead of directing his sister to France during the Enlightenment, he sent her right into the middle of the French Revolution, an incredibly violent and dangerous period in history. 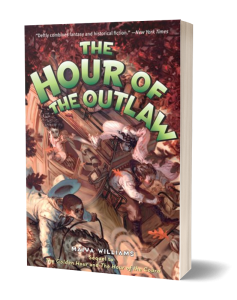 Rowan, Xanthe and Xavier go to the French Revolution to save her, meeting a variety of historical characters along the way. Professor Robert Blackman, assistant professor of history at Hampton-Sydney College. I’ve always been fascinated by the French Revolution. Just imagining nobles in exquisite clothing and elaborate wigs getting their heads lopped off probably has a lot to do with it. I also like the personalities involved; Marie Antoi nette, King Louis the XVI, Maximillien Robespierre, Danton, Camille Desmoulin. I’m intrigued by the scapegoat mentality, mob dynamics, and the connection between the French Revolution and the American Revolutionary War. All of these things were elements that I wanted to learn more about and that I thought would be of interest to my young readers. I was also aware that most children don’t get introduced to the French Revolution until high school. 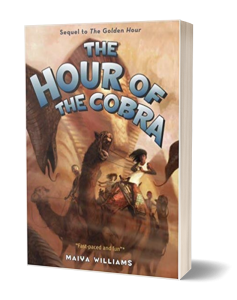 I liked the idea of choosing a time period that would seem fresh and was eager to expose children to something they might then want to explore further. What appealed to me most about using the French Revolution was that it reflects several of the themes in the book. One example is the theme of disconnectedness. Rowan is a boy who feels disconnected from other people, partly because of his introverted personality but also because of his depressed circumstances. He just feels like the biggest loser on earth. He is disconnected from his sister, because she won’t speak, and because she holds a secret she won’t share. He is disconnected from his father because of his father’s overwhelming grief over the death of his wife. At the beginning of the novel Rowan is about as alone as he can be, and he spends the entire book trying to get everyone connected again. You see a lot of disconnectedness between people in the French Revolution as well. One of the elements that exacerbated, the growing discontent between the common people and the nobles was the yawning gulf between them in their respective lifestyles. The world of Versailles was totally disconnected from what was going on everywhere else in France, and King Louis XVI was incapable of communicating in any meaningful way to his people. Another theme in the book is anger. Rowan refuses to acknowledge how angry he really is, but has a sudden burst of rage towards the end of the book. We find out his sister Nina also lost her temper, and feels tremendous guilt for expressing it. I wanted to show that anger is not a bad thing but rather a necessary thing. If anger is allowed to build up it creates a pressure cooker, and eventually those pent up feelings explode. You see this in the French Revolution with the uncontrollable rage of the mob and the excessive violence in the Reign of Terror. So the French Revolution was a good choice, I think, on many levels.